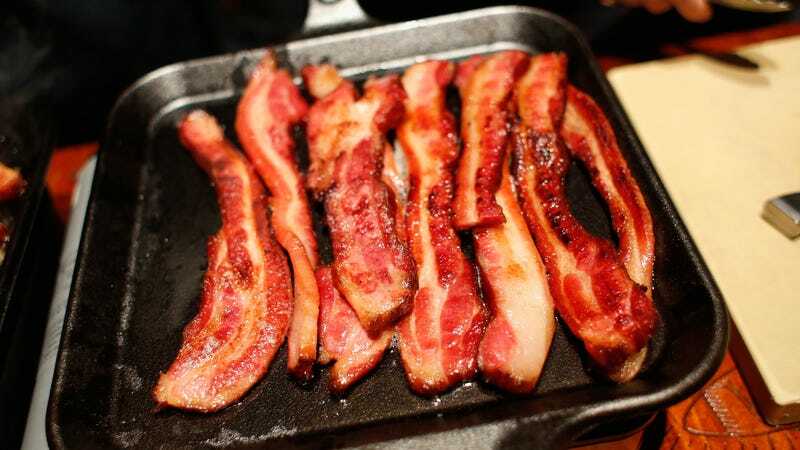 In light of China’s announcement, Fortune points out today that “Since China was the world’s second-largest buyer of U.S. pork by volume between 2008 and 2017, behind only Mexico, that has major implications for pork producers.” Basically, if China slaps a 25-percent tariff on bacon, say, it will probably buy less of that product, so American farmers will have to find another buyer to fill that market—or raise the cost significantly. Which, in turn, will have an effect on the many bacon lovers among us. Speculation is all anyone can look to at the moment; China has not stated when the tariffs will actually be imposed. Only then will we see what the actual effects on the U.S. prices will be.